No one knows the retail food industry like CFIC! The Carolinas Food Industry Council has grown to be the go-to source when our members are facing an issue. Whether it is regarding a permit for a new store opening or compliance with a new law or regulation, we are here to help. Not only are we dedicated to our members’ success, we are also working hard every day to ensure that North and South Carolina are the top places in the United States to do business. Having trouble staying up-to-date with the changing retail environment? CFIC provides members with access to information on trends, surveys, reports, etc. to help you plan your business strategy. Unsure how to comply with laws that affect your store? CFIC offers advocacy and legislative representation specific to concerns of grocery owners and operators: tax reform, employee issues, compliance and regulatory education. Frustrated that you don’t have a voice in state and federal government? Some of the best pieces of legislation passed in recent years have come from suggestions from CFIC members. We ask. We listen. We get results. Interested in getting face time with both large chain and independent retailers? CFIC offers suppliers the opportunity to network at our annual events, the Convention and Golf Tournament. Both events are great for building relationships in a relaxed environment. Ready to introduce a new product or wants to see your product on retail shelves? CFIC grocers look forward to attending our annual events so they can network with suppliers, learn about new products, and build upon relationships. Be sure to take advantage of the opportunities to get a sample of your product into the hands of retail decision-makers at our events! Interested in hearing directly from the Southeast’s top retail chain presidents? Presidents and senior leadership from the region’s top retail chains make it a priority to attend CFIC events. They show up. Will you? If you answered “yes” to any of the above questions, then CFIC membership is right for you! 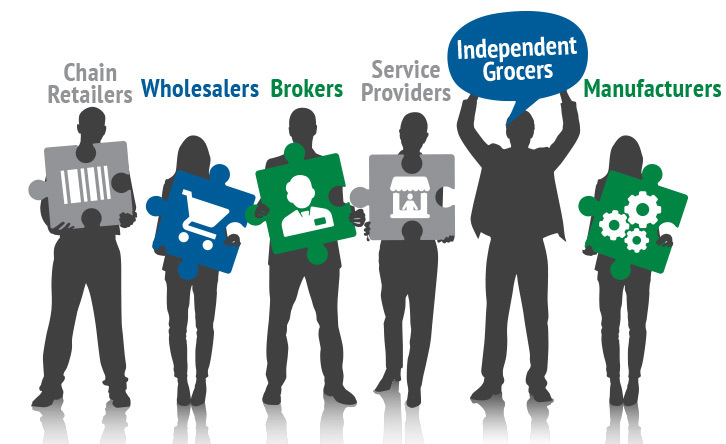 CFIC members work in numerous areas of the retail food industry. What’s important to you is important to us. When you join CFIC you’re also hiring a full-time lobbying team. CFIC has negotiated group-buying discounts to offer increased savings on products and services that retailers need in order to do business. Get exclusive privilege to call on our legislative team any time to help you understand the ever-changing laws and regulations that impact your business. CFIC’s professional staff is well-versed on all things retail and we have a deep bench with our trusted Allied Partners in the areas of tax, employment law, real estate and litigation.